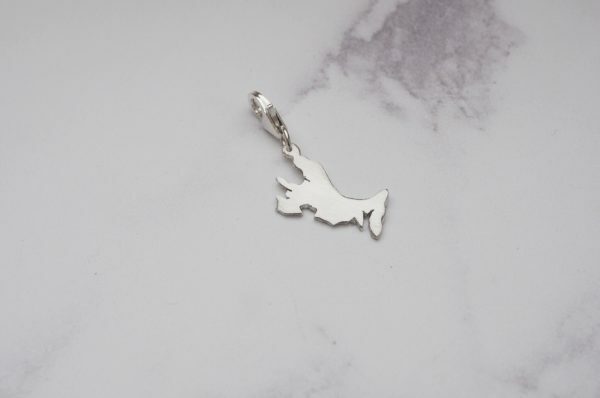 This Sterling silver Skye map charm is the perfect accessory for your wrist! Other countries and islands can be made to order, please do get in touch with your ideas. Thank you for your good customer service. Acknowledged my order, and kept me informed of progress as well as telling me when you posted the charm. Thank you so much for my beautiful isle of Rum charm. From the first contact asking about the bespoke design to the beautifully packaged item arriving Fiona has been friendly, helpful and professional. I absolutely LOVE my charm and have already had so many compliments on it.